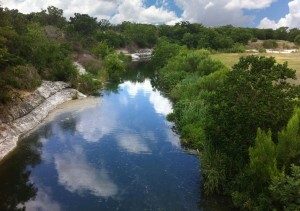 RVi was recently selected by the City of Georgetown to create a master plan for the historic San Gabriel Park. Located in the center of the city along the scenic banks of the San Gabriel River, the park has played an important role in Georgetown’s history and cultural heritage. The parkland was officially purchased by the City of Georgetown in 1933, but the land had been a popular community gathering place for many years prior to the purchase. Throughout the years, San Gabriel Park has served as a central park for the city, offering activities like rodeos, carnivals, swimming, fishing, weddings, festivals, and sporting events. 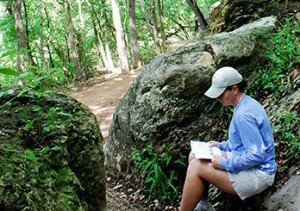 The park has earned many awards and recognitions over the years, including an Official Texas Historical Marker, Lone Star Legacy Park Designation, and many planning and design awards. RVi is in the beginning stages of the master planning effort, which is expected to take several months. RVi has been working with the City of Georgetown for many years, beginning with their Parks System Master Plan in 2002 and continuing through development of the San Gabriel River Trail, improvements to Rivery Park, Rock Street Pedestrian Crossing, and other conceptual design exercises. 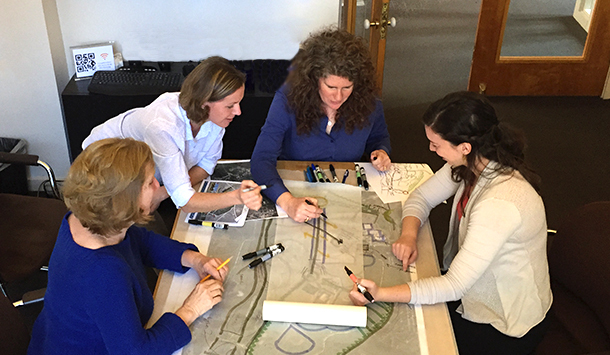 Pictured above: Barbara Austin (Principal), Jarka Pharis (Design Lead), Christina Moon (Project Manager), and Becky Rupel (Designer) participate in a charrette for the park master plan. We were thrilled to have Jarka in from RVi’s Houston office this week to participate in the charette process! can’t wait to see what you all do for this area and how the river plays a part in the design! I saw that at Georgetown City Council this week that the San Gabriel Park Master Plan was listed as an accomplishment for 2015, but I wasn’t aware the update performed earlier this year was completed yet. If so, when will the plan be presented to the public or available for review? A public input meeting was held on March 18th at the Community Center and a survey was posted on the Parks and Recreation Department website to solicit additional comments from the public. Incorporating these public comments, San Gabriel Park Preliminary Master Plan was created and presented to the Parks Board on May 20th. RVi is in the process of finalizing the Master Plan to present to the City Council on June 9. How Can Open Space Add Value to Real Estate Development?